A surprise PC release for killer7, the cult classic made by Goichi Suda, Hiroyuki Kobayashi and Shinji Mikami, has been announced last night during MomoCon. 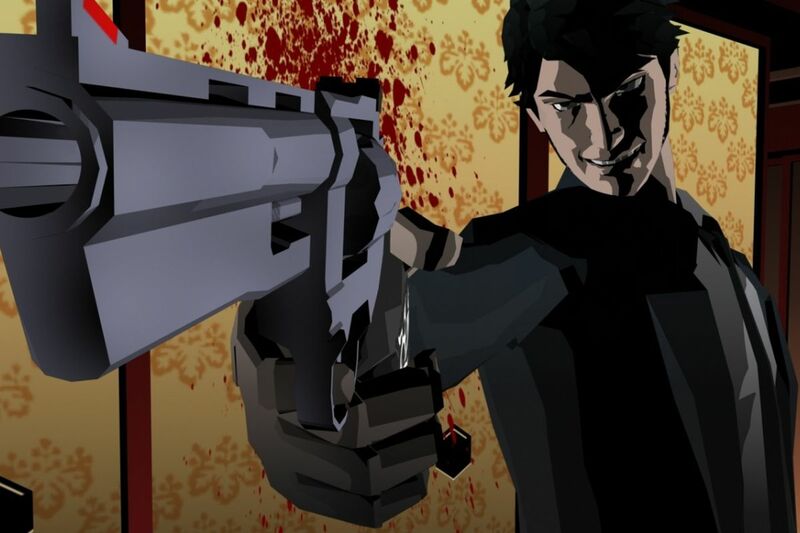 killer7 will be available this Fall via Steam, thirteen years after its debut on GameCube and PlayStation 2, with NIS America as the publisher (CAPCOM originally published the game on consoles). Pricing hasn’t been confirmed yet. Multiple Personalities – Take control of Harman’s distinct 7 personalities, each with their own appearance, personality, weapon of choice and special ability. A Sinister Foe – Face off against the “Heaven Smile” organization in a unique combination of first and third-person shooting mechanics. Killer Moves – Utilize the full host of killer7’s special abilities to reveal secrets and solve puzzles. Your Pick – Switch between personalities at will to best tackle every encounter. A Dark Path Awaits – Follow a deeply engaging storyline brought to you by one of the highly acclaimed creators of all time, SUDA51. A New Look – Optimized for PC, now experience the cult classic like it never has before! A Killer Style – A timeless visual style that wowed audiences from its first reveal, perfectly ported to modern machines. Your goal: stop Heaven Smile, a group responsible for a wave of indiscriminate violence that is plaguing the world. Unique characters, complex story, and dark imagery presented with striking cel-shaded graphics are all the essential ingredients for this classic title.